"He will be greatly missed. Sorry for your loss. Corinne..."
"Our hearts are sad for your loss. We will be praying for..."
"It was my pleasure to have meet and know John!! A very kind..."
OLD ORCHARD BEACH - John H. O'Neil, 90, of Old Orchard Beach passed away on Sept. 12, 2018. John passed surrounded by his loving family at his home, the Executive Motel, his lifelong home and business he had worked so hard at and was his pride. John was born April 16, 1928 at the Webber Hospital in Biddeford. He grew up in Old Orchard Beach at the family business, the Boyden Hotel. The Boyden was run by his mother Mary Doyle O'Neil and his father, John O'Neil. His father passed away when John was only eight years old. His mother remarried Charles Bowen, who lovingly became his stepfather. John was an outstanding athlete and an honor student at Cheverus High School. He graduated Cheverus in 1946 and like so many of his classmates, joined the Army. He served honorably and was part of the Occupation of Japan. 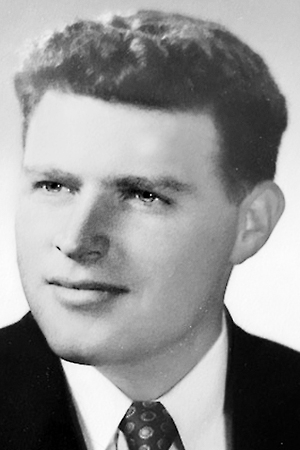 Upon his honorable discharge he enrolled at Boston College, where he graduated in 1952 with a degree in economics. He married his high school sweetheart, Barbara Agnes Coffin on March 26, 1951. John began his professional career and was an executive with North American Rockwell and the Boston Gear Corporation. He returned to Maine in 1960 with Barbara and began construction, which converted the Boyden Hotel into the Executive Motel which opened in 1963. He also began his family with son, John Jr., in 1961, and daughter, Mary, in 1963. The motel was his pride and joy and he patterned it after the art deco hotels of Miami, including its revolving sign. As the motel business grew he also worked each winter as the regional manager for Bearing Specialty in Portland. During his life he was active in public service. John served as an officer of the Old Orchard Beach Chamber of Commerce. He was twice elected as an Old Orchard Beach Town Councilor.He was a member of the Knights of Columbus and served on the St. Margaret's Parish Counsel. John served as a Director for 23 years of the Saco and Biddeford Savings Institution. Barbara passed away on Sept. 30, 1997. John became reacquainted with and fell in love with another childhood friend, Eleanor Papaz Lary. John and Eleanor married, and they spent their time between Maine and Florida until Eleanor passed away on Nov. 17, 2009. John never remarried and always felt blessed to have been loved by two such wonderful women in his life. John is survived by his son and daughter-in-law, John H. O'Neil Jr. and Jennifer O'Neil of Kennebunk; and grandchildren William, Lucy, Jill and Samantha. He is also survived by his daughter, Mary O'Neil Jerome and her husband, Benjamin Jerome, of Biddeford; and their children, Benjamin and Matthew. Other survivors include extended family members, Robin Papaz Wilkins, Gregory Papaz and Steve Smith, as well as their children, who all brought great joy to John. Visitation will be 1-4 p.m., on Sunday Sept. 16, 2018, at the Old Orchard Beach Funeral Home located at 36 Portland Avenue in Old Orchard Beach. Mass of Christian Burial to be held, Monday, Sept. 17, at 11 a.m., at the St. Margaret's Church corner of Saco Avenue and Old Orchard Street in Old Orchard Beach. Interment with military honors at family lot at Calvary Cemetery, Cash Corner, South Portland Maine at 1 p.m. In lieu of flowers, those who desire may donate to a in John's name.